If you’re looking for a tailor-made safari and don’t know where to start, try taking a browse through our sample itineraries to get an idea about where you’d like to go, what type of safari you might enjoy, or what you can get for the budget you’re working with. There are our safari ideas to help you along – itineraries to suit a special occasion like a honeymoon or birthday, or trips ideal for families travelling with kids. This is a selection of safari ideas we have tried and tested, and because they have worked so well, we’ve put them here for easy reference. Take a look at what’s out there, and maybe one will be just right for you! Overland safaris are generally the most affordable way to see the most of a country, or a group of neighbouring countries. 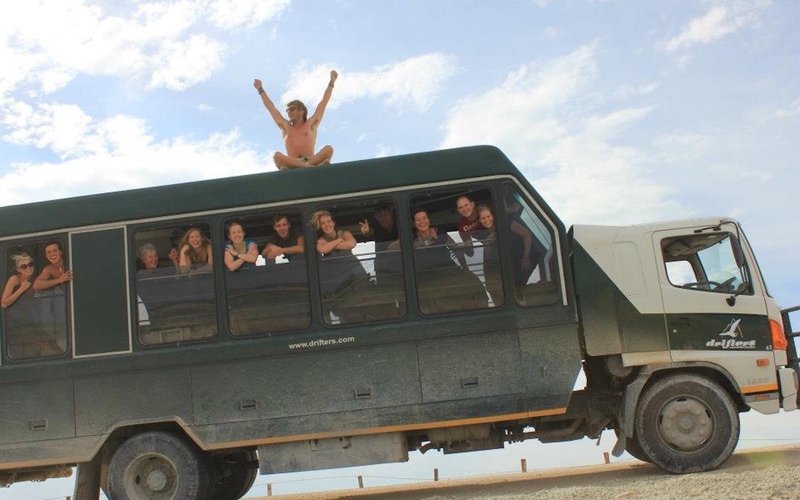 Fully guided, inclusive trips with a group in a specially designed overland truck, which transports you to every destination in comfort, with big windows for views of the countryside as you go, and contains all the camping and kitchen equipment needed for the whole group. Ideal for solo travellers or friends looking for an African adventure on a budget and who have about two weeks or more to travel. Uganda, Botswana, South Africa, Namibia, Tanzania, Kenya, and Zanzibar! What Special Offer are you interested in?